Welcome to the future! See the New Year in in style with a night to remember and thousands of other revelers joining the biggest New Year party in the UK! Edinburgh’s Hogmanay features 3 days of spectacular events, great music and amazing crowds from every corner of the globe. 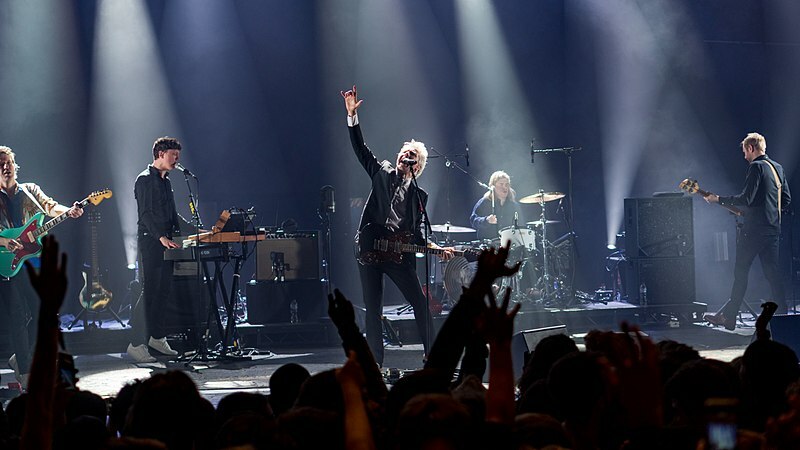 Scotland’s favourite indie band Franz Ferdinand will be headlining in the Concert in the Gardens along with support from Metronomy and Free Love. Speaking of love, over the course of the 3 day celebration feel free to join the thousands of marchers bearing firelit torches for the Edinburgh’s Torchlight Procession on the 30th, take your baby to the disco (30th & 31st) or literally “get in the sea” on the 1st of January! 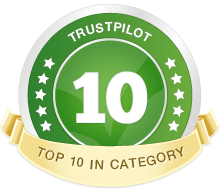 If you have any questions at all, please do call our friendly and helpful team on 0131 510 002 – they would be delighted to assist you in any way possible! Bring your tiny dancers and get kilted and booted for 2 hours of Hogmanay dayclubbing at the Spiegeltent in Festival Square! Take a celebratory look back over the music of 2018 and with nostalgic pop floor-fillers from the days before parenthood struck, for all the generations to enjoy together. Expect a Hogmanay twist with a short family ceilidh dance, and an Auld Lang Syne practice run with supplied ‘toddler torches’ (30 December only, before Torchlight Procession), OR celebrate 'the bells' with the Australians as we countdown to actual midnight in Queensland! (31 December only). Includes facepainting, dress-up, bubbles, balloons, dancefloor games and giveaways, chill-out play area and crafts zone. With a licensed bar for parents, it won’t just be the little ones going gaga! For 0 – 6 years. Babes in arms go free. Born of the Viking tradition, Edinburgh’s Torchlight Procession has become famous around the world as one of the first images of the impending change to a new year and the beginning of Edinburgh’s Hogmanay celebrations. The Procession returns to its new route down the Royal Mile, starting from three different points, High Street, South Bridge and North Bridge, winding between Holyrood Palace and the Scottish Parliament to reach Holyrood Park. Get ready for Hogmanay in the magnificent surroundings of McEwan Hall at the UK premiere of Symphonic Ibiza. Fusing a thrilling live 15 piece orchestra with high tempo beats from renowned club DJ Andy Joyce (Cream, Eden, Ministry of Sound, Creamfields) under the amazing dome of McEwan Hall. Enjoy the Edinburgh’s Hogmanay experience as a family, and still have the kids tucked up in bed afore the bells, at Bairns Afore. Massaoke, the live band and singalong sensation that is sweeping the UK from Glastonbury to the Edinburgh Festival Fringe present a family friendly version which will have everyone dancing and singing their hearts out before a stunning ‘midnight’ fireworks moment at 6pm giving the Bairns their midnight moment with plenty of time to get them home for bed! A festive end of year celebration in the candlelit atmosphere in St Giles’ Cathedral. St Giles’ Cathedral Choir, directed by Michael Harris, with the St Giles’ Camerata, and leader Angus Ramsay, are joined by a stunning array of talented young soloists. VIP access to the best New Year’s celebration on earth. 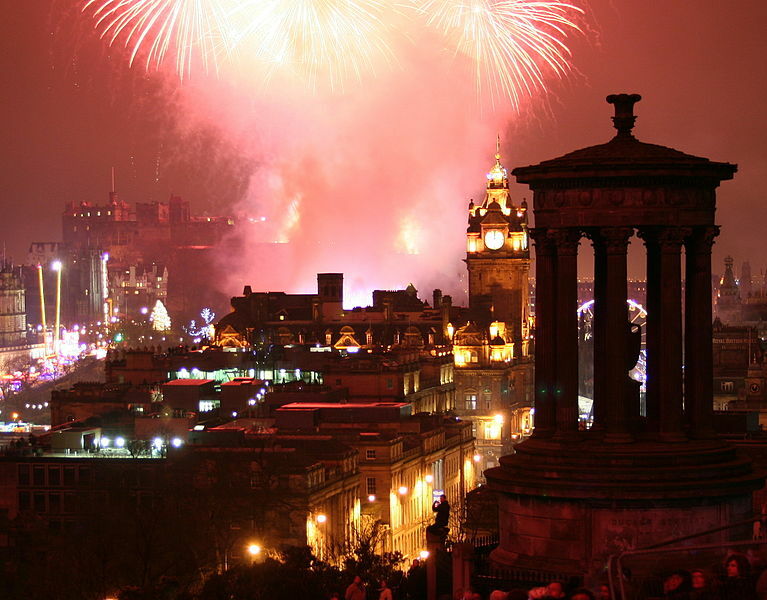 Enjoy Edinburgh’s Hogmanay from the comfort and splendour of Hogmanay HQ at the Hub on Castlehill. Tickets include: glass of Prosecco & canapés on arrival and full buffet dinner, entertainment, private bars, and live music and a prime spot to view the midnight fireworks. See in the New Year, at the world’s best street party as Edinburgh invites the world to share the love, embrace friends – old and new – and celebrate the New Year in the home of Hogmanay. The music line-up includes appearances from home-grown phenomenon Gerry Cinnamon and superstar DJ Judge Jules, as well as Meute, Vistas, Elephant Sessions, Miracle Glass Company, Trendy Wendy and hosts The Mac Twins. Experience the best of Scotland at the Ceilidh under the Castle. Whirl or jig, fling or be flung under Edinburgh Castle. Join hands with old friends and new to dance in the New Year with a full ceilidh band and plenty of local food and drink to keep you spinning all night. This year’s jigs and reels will be brought to you by three smashing ceilidh bands: Jimi Shandrix Experience, Hugh MacDermid’s Hair and Ceilidhdonia. At midnight, welcome in 2019 with a breathtaking fireworks display, amidst the historic setting of the majestic Edinburgh Castle. Celebrate Hogmanay in spectacular style at the Concert in the Gardens main stage. At midnight, say goodbye to 2018 and welcome in 2019 with the best views in the house of the fireworks over Edinburgh Castle. FRANZ FERDINAND headline Concert in the Gardens. Supported by METRONOMY and FREE LOVE. 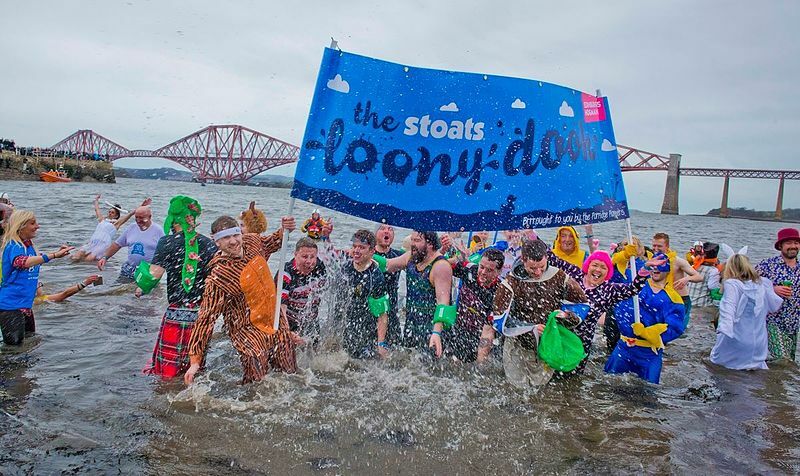 The Loony Dook continues its New Year’s Day tradition at South Queensferry. In the shadow of the Forth Bridges, the dippers in fancy dress, scantily clad or even fully clothed from the night before will brave the chill to raise money for charities while shaking off their Hogmanay hangover. Welcome, first footers, to the first ceilidh of 2019! A family-friendly affair that’s free to attend (with a ticket booked in advance) in the magnificent McEwan Hall, blow away the Hogmanay cobwebs with your nearest and dearest, old and young and start the year off the right way with a wee dance. Capercaillie brings a traditional Scottish knees-up to McEwan Hall. Capercaillie is inviting guest musicians to join them to bring the sounds of the European family of nations together in an afternoon of shared cultural celebration. International Galician folk star Carlos Nunez joins special guests from the cream of the Scottish music scene for a very special evening of musical exchange at the magnificent McEwan Hall. A celebration of Scotland’s literature - six Scottish writers each write a love letter to Europe marking Scotland’s shared cultural, historic and social connections with this family of nations. The letters will be projected onto iconic buildings and landmarks around Edinburgh animated by a range of different composers and projection artists. ← Why Visit St Andrews?